Erik Nordman, of Grand Valley State University, describes strides to achieve universal electricity access in Senegal and the role of microgrids. Affordable and clean energy is the foundation for many of the United Nations Sustainable Development Goals. Modern energy, like electricity and liquified petroleum gas, is a vital need for industries and households. But more than 40 percent of residents of the world’s least developed countries don’t have access to electricity. In developed countries that figure is only 10 percent. There are huge benefits in accelerating energy access. These include economic benefits as well as increased studying time and reduced pollution. But, closing this energy gap is a herculean task and there’s been very little progress. Investment in renewable energy and energy efficiency must increase by a factor of five if universal energy access is to be achieved by 2030. 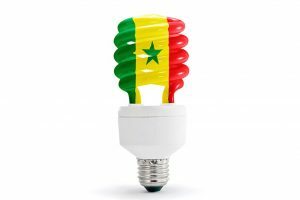 Senegal stands out among least developed countries as having made the biggest strides in expanding energy access. In this grouping, which includes 30 other African countries, it has one the highest rates of electricity access and is the only one with electricity access above 50 percent and near universal (about 85 percent) access in cities. Senegal has a young and growing population. More than 60 percent of its residents are under 25-years-old and more than 75 percent of Senegalese work in agriculture. But industries like food processing, mining, and fertilizer production are also important. Improvements in energy systems would help modernize these sectors. To achieve universal energy access by 2030, the UN says Senegal must double its electrification rate. Currently, only 33 percent of rural Senegalese have electricity access. But connecting rural homes to the centralized grid is too expensive for most households and building the transmission infrastructure will take years. Last year Senegal took steps to address these challenges, starting with diversifying its energy mix. About 88 percent of Senegal’s electricity is generated from fossil fuels and the rest is from renewable energy. It aims to increase the proportion of renewables to 20 percent by 2017. One of the ways it is doing this is by tapping into solar energy. Senegal is also taking up microgrids to improve accessibility. Microgrids consist of an electricity generator (that runs off diesel or solar panels for example), users of the electricity, a means of connecting them and a way to regulate the flow of electricity. It can run on its own or may be connected, now or in the future, to the main electricity grid. These can help electrify rural villages as was seen in Ghana when microgrids were used to electrify four remote communities, serving 10,000 people. Although this is a small portion of Ghana’s total population, the project shows that microgrids can improve energy access in rural areas and can be replicated elsewhere. Senegal’s per capita electricity consumption is 221 kWh annually, although this is undoubtedly higher in cities where access to electricity is high. In 2017 West Africa’s largest solar park went online in Senegal. The 30 MW grid-connected facility is a substantial increase to the country’s 650 MW of electricity generating capacity. A rough estimate shows that the facility could produce about 48 million kilowatt-hours of electricity each year – equivalent to the consumption of more than 215,000 Senegalese each year. Senegal has several other solar projects, either completed or under construction. The state-owned electric utility issued a call for qualified contractors to build an additional 100 MW of new solar projects. These include a 15 MW grid-connected solar facility near Dakar in the city of Thiès – an impressive project that will enhance energy access in the populated west of Senegal. 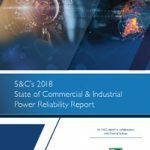 Achieving universal electricity access among all 15 million Senegalese, however, will require much more investment in diverse generation sources and modes of delivery. This includes both grid connections and independent microgrids. Expanding grid-based electricity generation, while important, is insufficient – particularly in rural areas that are not grid-connected. Most households cannot afford the connection cost and building transmission infrastructure takes years. Millions of people miss out while waiting for a grid connection. Microgrids can bring electricity access to rural areas without the costly and time consuming buildout of a grid connection. Senegal and other African countries, with help from the World Bank, are investing in microgrids. Senegal’s policy framework, encourages microgrids. The policy includes a top-down approach for relatively large microgrids covering broad areas and a bottom-up approach for entrepreneurs to build small microgrids in rural areas. The Senegalese government has also issued tenders for larger-scale microgrid projects. For example, a Moroccan utility won a bid to construct a microgrid to serve 21,800 households. Another promising development in Senegal is a plan for 2 MW of off-grid solar power with storage in seven remote locations. Senegal has demonstrated, there isn’t a single approach to delivering modern energy services. Throughout 2017 it showed that grid connected, utility scale solar projects complement remote microgrids to bring clean, reliable, and affordable electricity to rural and city residents alike. These efforts to address the “energy access dividend” will help Senegal graduate from the list of least developed countries. Erik Nordman is an associate professor, Grand Valley State University. This article was originally published on The Conversation. Read the original article. We seek joint-venture partner for microgrid installations to be set up in Westafrica.